We live in these stories that we create in our mind - they are our reality. The actual experiences that occur in our lives are intrinsically meaningless. It is the stories that we make up about our experiences that create and carry meaning and shape our lives. Sometimes diversity is about women fighting for their rights, visible minorities fighting for their rights, gays fighting for their rights... Is there some way we can make progress without all this fighting? Barbara Annis, a leading edge thinker on gender and diversity from Canada, has some new ideas. David Creelman spoke to Barbara Annis. David Creelman- The issue of women in business has been with us for a long time, and we have made great progress. Is it still an item that belongs on the top of our agenda? 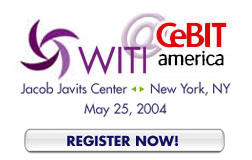 "TELE POWER - Using The Telephone To Advance Yourself And Advance Your Business" -- begins May 5! Electronic Industries Alliance (EIA) presents the Medal of Honor each year to an individual who has made an outstanding contribution to the advancement of the electronics industries. Carly Fiorina represents the first female Medal of Honor recipient in the award's 52-year history. Her stature and leadership within the high-tech industry have placed her in the very esteemed company of the past EIA Medal of Honor recipients including notable industry pioneers David Packard (1974 - Hewlett Packard Co.); Sanford McDonnell (1986 - McDonnell Douglas Corp); and C. Michael Armstrong (1997 - Hughes Electronics Corp.). "Carly Fiorina has been a visionary for the IT industry, ever conscious of the link between technology and business and the role technology plays in effecting social change. Her career has been marked by a commitment to high standards of ethical behavior, values and community -- qualities that all in our industry seek to emulate" said EIA President, Dave McCurdy. EIA's foundation, The National Science & Technology Education Partnership (NSTEP), will provide a booklet full of congratulatory pages from Carly Fiorina's colleagues and peers. For additional information please visit EIA. 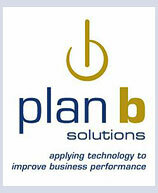 With a focus on supporting the strategic goals of your business through the application of technology, Plan b has a unique set of service offerings to help you ensure your IT initiatives provide the benefits you expect. IT departments struggle with the broad range of demands put on them in today's environment, including constricted budgets and the challenge to do more with less. New IT initiatives get delayed which requires supporting older technology. Organizations are also scrutinizing and cutting back on their other functional groups' spending. The combination of cutting back on IT and these groups' budgets can have a negative effect on a company's ability to compete. Plan b's approach is to provide a broader perspective on how existing technology can be utilized to meet a company's needs to support strategic initiatives without incurring major expenditures. We assist in the development of IT strategic plans, or IT roadmaps, that address spending and deployment approaches to fit your budget. Are you in Los Angeles? Join the Los Angeles Breast Cancer Alliance (LABCA) for the Eleventh Annual Revlon Run/Walk For Women on Saturday, May 8, 2004 at Los Angeles Memorial Coliseum to raise funds and awareness to battle breast and ovarian cancer. Some of the money raised will support LABCA's FRIENDS HELPING FRIENDS, a program that provides non-clinical support to women undergoing breast cancer treatment. Some services provided are wigs, breast prostheses and bras, transportation to and from treatment, and other services not met by the insurance system. This special event will be hosted by Jim Belushi and Courtney Thorne-Smith with special guest Brittany Murphy. LABCA is proud to offer to the highest fundraiser two Southwest Airline tickets good for one round trip flight anywhere in the continental United States. Please visit www.labca.org to learn more about LABCA's important work, join Team 84 or LABCA, or support a team member with a donation. CNN is looking for "36 Under 36"
One of CNN's evening shows is planning to profile young achievers in a variety of fields and has asked WITI to suggest women in the tech industry as possible interviewees. Are you making a difference in your field? If you are 35 or younger, CNN may be interested in speaking with you. Please contact Marsha Walton with your name, a brief bio, and your contact info before April 30th! Let her know WITI sent you! April 27: Corporate Travel Safety -- This Thursday! Avanade is an independent company that was created through a joint venture between Microsoft and Accenture in April 2000. We are the world's premier technology integrator for Microsoft solutions in the enterprise. We create value for our customers by leveraging Microsoft enterprise technology to design, build, and deploy customized, reliable architectures and scalable infrastructures to increase profitability, improve speed-to-market, and accelerate growth. Avanade is focused on helping Global 2000 customers and our technology infrastructure and .NET application development solutions have underpinned hundreds of customer projects worldwide. Baxter Credit Union (BCU), with over $900 million in assets and 100,000 members strong seeks a talented professional who will be accountable for the quality and delivery of business systems commitments on schedule, within prescribed resource limits, and in accordance with client requirements and departmental standards. Manage proposal, project, and overall support activities of projects within area of responsibility, while assuring the integrity of design. Provide leadership by assisting clients in identifying and responding to opportunities for cost-effective automation. SVASE presents "SOCIAL NETWORKING: the Next Generation"